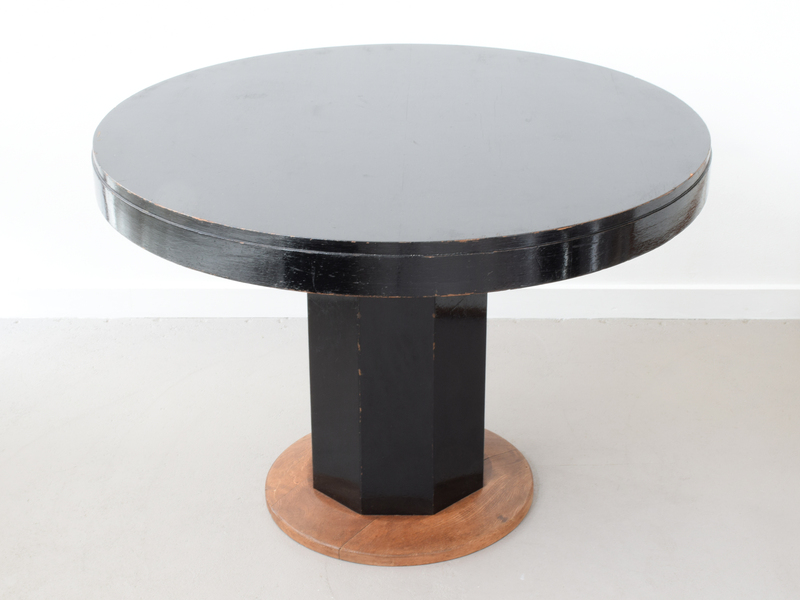 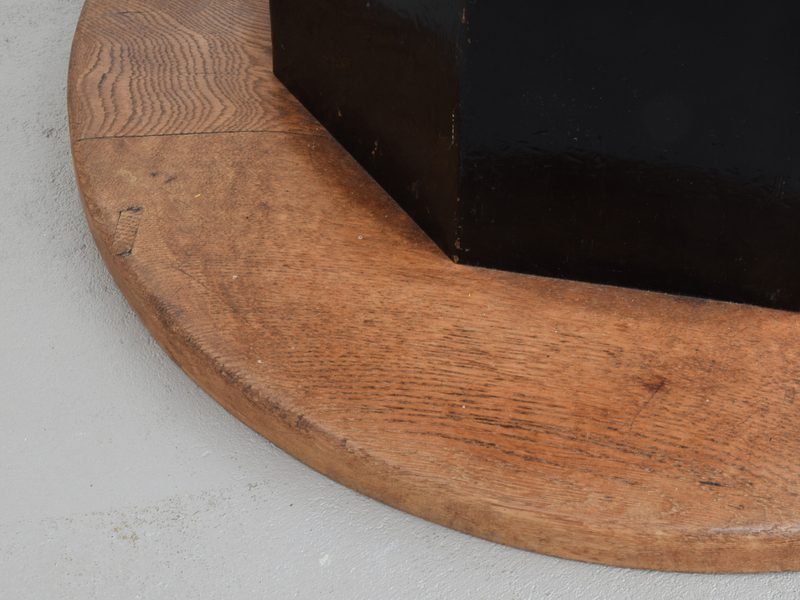 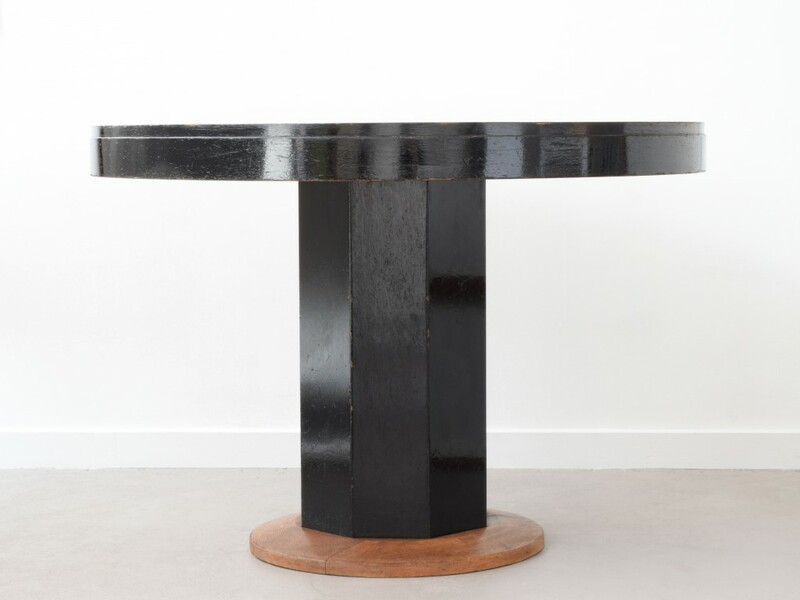 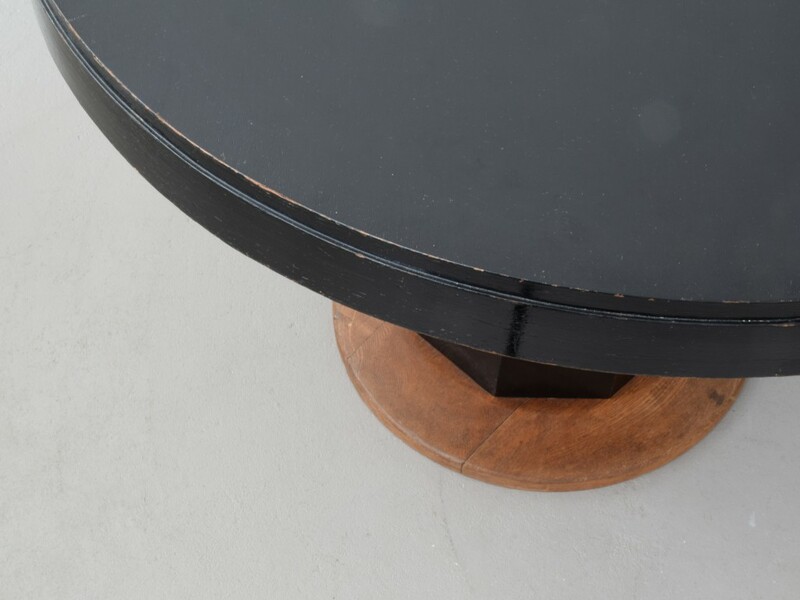 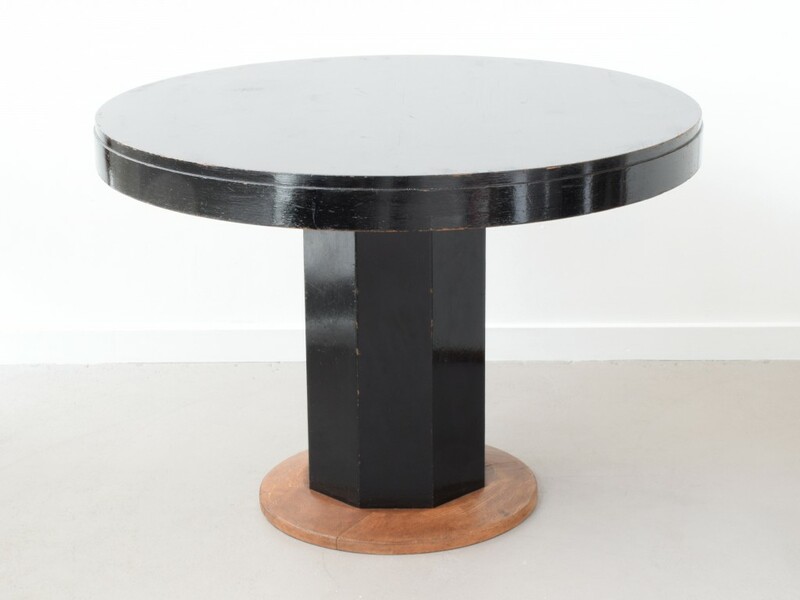 Black lacquered wooden top and pedestal, oak wood base. 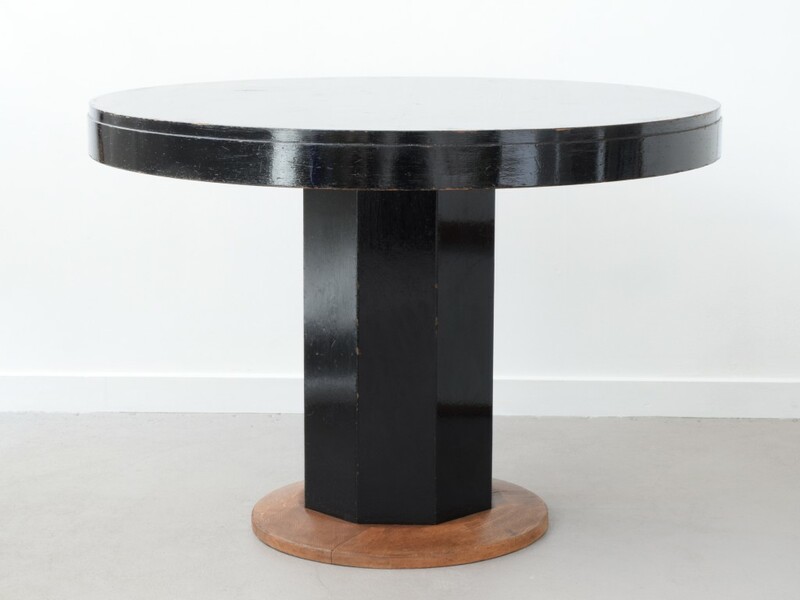 Purchased with various modernist 1930’s items that formed a collection of pieces manufactured and/or retailed by Bowman Brothers of Camden Town, London. Dimensions: Diameter 107cm; height 74.5cm.